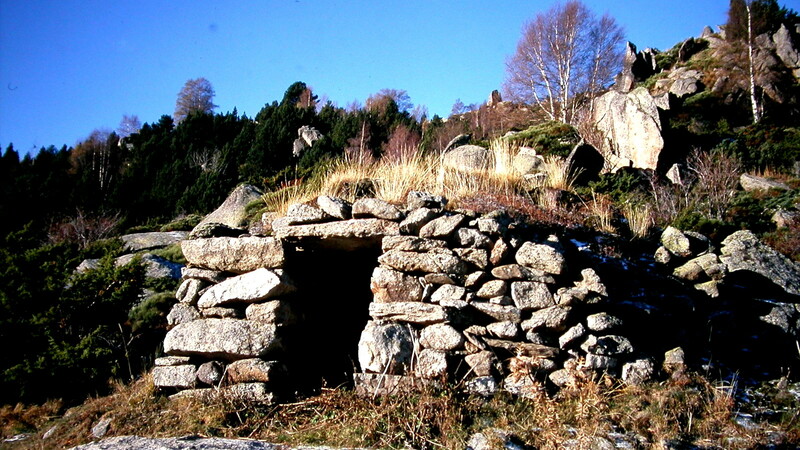 Improperly called orri, these dry stone shelters are huts which were used by the shepherds to shelter in the pastures. Their true name in Cerdanya is barraca. An orri is rather a gathering place for the cattle in the purpose of making cheese in mountain pasture. In this case, rustic dry stone constructions also supplemented l' orri. These constructions go back to the Middle Ages. However, recent a carbon 14 dating on remainders of hearths of some sites would indicate an men's occupation older than 3000 or 4000 years.